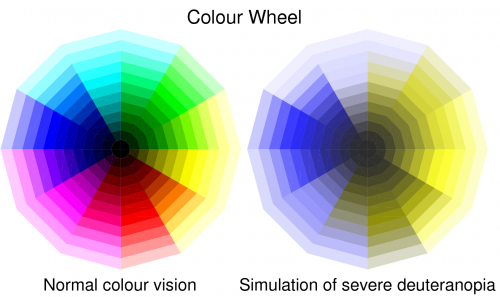 Between 5-10% of men and around 0.5% of women are affected by various forms of colour blindness. The most common form is deuteranopia, for which distinguishing between red and green is particularly challenging. This has been pointed out many times before, but it may be worth remembering next time you make a figure or visualisation: ‘red and green should never be seen’. 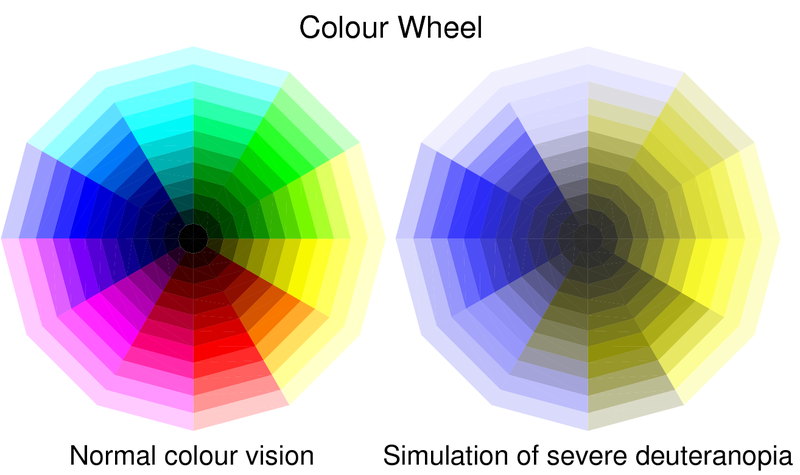 Colour wheel for normal and simulated deuteranopic vision. Click for larger version.